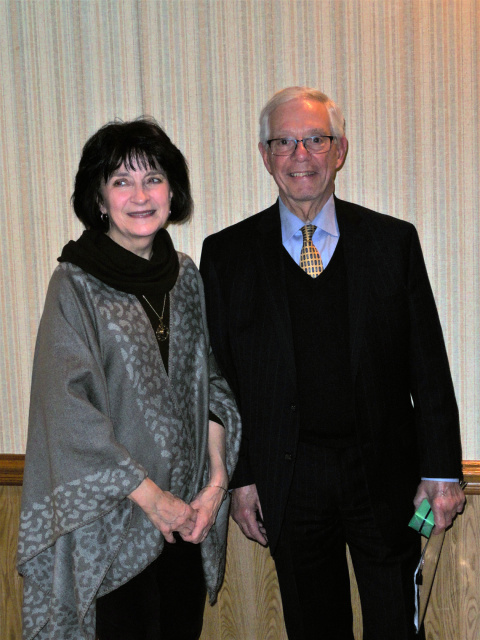 An enthusiastic crowd of more than 100 members and guests attended the November 14th Annual Meeting and Harvest Dinner at the Rescue 5 banquet facility in North Tonawanda. The only business on the agenda was the election of Janice Bodie, Bonnie Bugbee, and Alice Roth to three-year terms by a unanimous vote of the members. 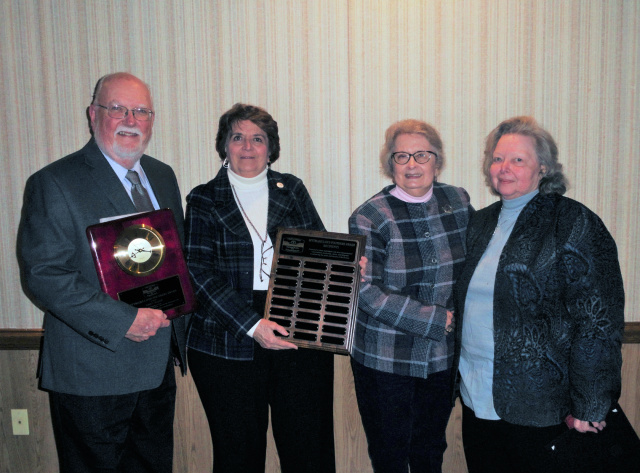 Historical Society of the Tonawandas President, Alice C. Roth (second from left) is joined by 2018 award recipients John Slater, Dittmar/Lloyd Founders Award; Carole Barnard, Patrick Barnard Service Award; and Terry Wegler, Volunteer of the Year Award at the Annual Meeting and Harvest Dinner on November 14, 2018. Society Program Director, Jill Townson congratulates keynote speaker Daniel Brick after this year’s Annual Meeting and Harvest Dinner at the Rescue 5 banquet facility in North Tonawanda.